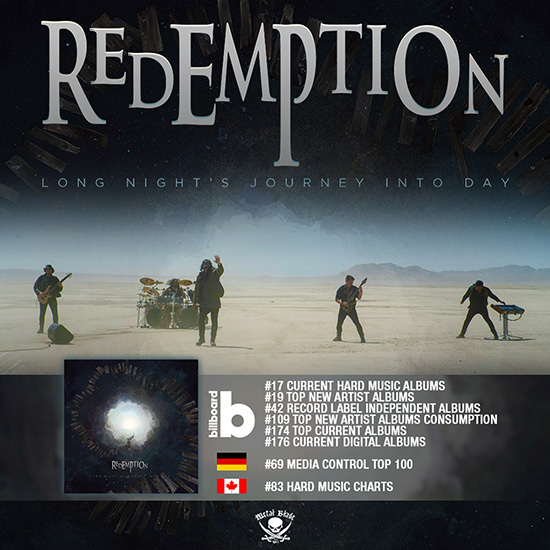 REDEMPTION lands on international charts with new album, ‘Long Night’s Journey into Day’! Guitarists Chris Poland (Megadeth, OHM) and Simone Mularoni (DGM) return as guest musicians. When it came to backing up the music with visuals, the band once again turned to a longtime collaborator, Travis Smith, whose humbling resumé includes records by bands such as Act Of Defiance, Opeth and Iced Earth.